Raised Bed Plan - Beetroot, Sugar Snap Peas, and Autumn Spinach. This Raised Bed is planned to give 3 Batches of Vegetables during one season. The picture above shows the layout of the first two batches. This bed is located in the "Enrichers with a twist" section in my garden. These sections are based on Beans and Peas to enrich the soil for next 3 years, all in line with the Crop Rotation Plan. That's why Sugar Snap Peas are the foundation of the plan for this Garden Bed. I will try to grow Beetroot together with the Sugar Snap Peas in this bed. 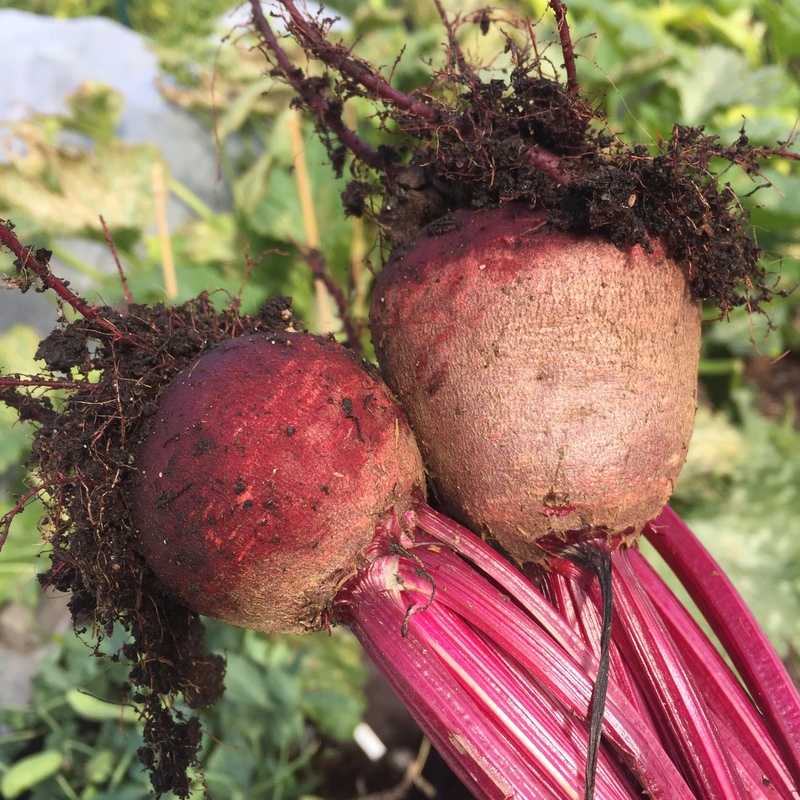 This is partly due to lack of space in the "Needs Less" section where I usually would grow Beetroot - and partly because Beetroot seem to grow fine in most places and together with most other crops. I have not tried this exact combination before, and I am excited to see how it grows. 1d = This bed is in the "Enrichers with a twist" quarter in my Crop Rotation Plan. Transplant Beetroot Seedlings to bigger Pots if needed. Remove Ground Covers (leaves and grass clippings) from the Winter Cover to allow the Spring Sun to warm the Soil. If it's a Cold Spring, cover with glass, or plastic to let the Soil heat faster. Move the Sugar Snap Peas outdoors. Wait until later if spring is super cold, or cover with Garden Cloth if risk for frosty nights. 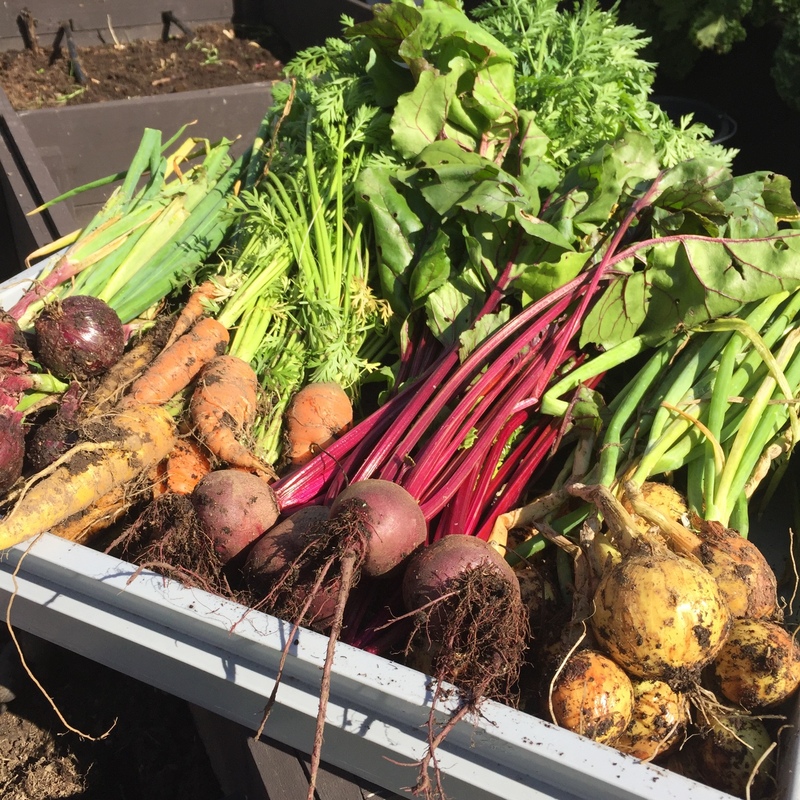 While the Beetroots and Sugar Snap Peas is growing in the Garden Bed, it's time to start preparing for the second batch. Harvest Beetroot and Sugar Snap Peas. The Garden Bed is now empty, and ready for Second Batch. Move the Second Batch of Beetroot and Sugar Snap Peas Outdoors. January and February are my Winter Sowing months, and this year I will try to Winter Sow Beetroot. I'm thinking that it SHOULD work, but I have never tried it myself. If they are not Sprouting in the Spring I will simply start new Seeds with regular Methods. For Winter Sowing in a tray, start by placing the Seeds. It's nice, since you can prepare everything indoors and take you trays outside when you're done with the sowing. Take the trays outside and add Snow on top. Place the sowings in an outdoor greenhouse or a larger plastic container outdoors and wait for spring. The indoor Beetroot seeds were started later, but has already been transplanted once. They are a bit thinner than the outdoor plants, but all are looking ok. I was planning to transplant all of these Beetroots to the Raised Bed last weekend, but I have been waiting a few more days since nights has been very cold (-7 degrees celsius). Hope to get them outdoors within a few days. Both indoor started and outdoor started Beetroot finally moved into this Raised Bed today. Thank you! The weather this spring is really unpredictable. We still have below freezing during nights, and do get some snow in the morning, and then really sunny and warm days. It's a hard balance. I don't want to remove cover if it's still frost but can't really stay at home and watch them during the day. Hoping that spring will come soon so that I can take the cover off permanently. Sugar Snap Peas are ready for picking, and soon also Beetroot. I have new Beetroot for this Raised Bed growing in the basement, waiting for planting as the second batch for this Raised Bed. Nice to see it all doing so well now what do you do with beets? Eat them gratinated with goat cheese! Or just boil them and eat with butter. Or might roast some of them, like crisps. Finally! Picking some Beetroot. And moving new ones outdoors. Second batch of beetroot harvested today, and spinach moved outdoors.